Motorsport or motorsports is the group of competitive events which primarily involve the use of motorised vehicles, whether for racing or non-racing competition. MotoSport refers to motorcycle racing specifically and includes off-road racing such as motocross. Motorsport is governed by the Fédération Internationale de l’Automobile, and Fédération Internationale de Motocyclisme. In the world of racing, the debate on whether women are as fit as men behind the wheel can often become heated. Just last year, Carmen Jorda, a member of the FIA Women in Motorsport Commission, was criticized for encouraging female drivers to pursue “less physical” racing opportunities. The research also puts to rest another controversial aspect of the discussion involving the menstrual cycle. Yup…the dreaded period. Tillotson carburetors made another stellar showing at the 2018 CIK FIA Karting World Championships in Sweden at the end of September. 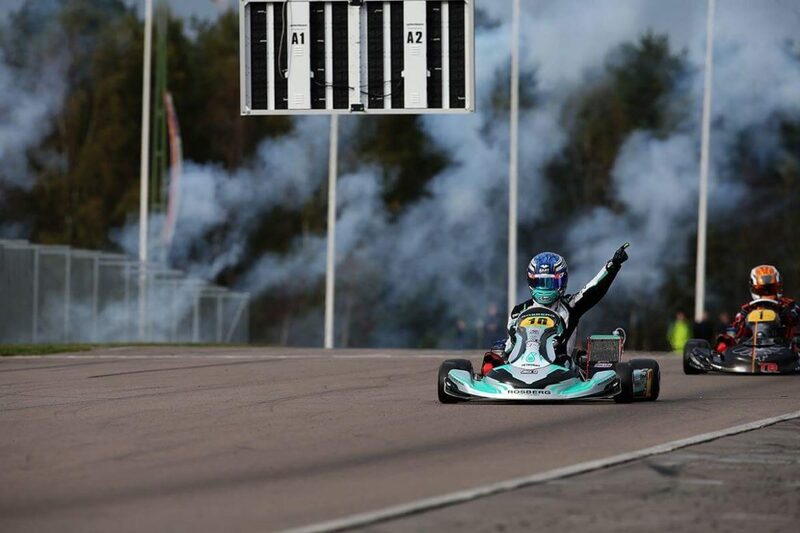 More than 200 drivers took to the Kristianstad circuit in the OK and OK Junior class races. This year’s OK class was dominated by Tillotson with the top 5 pilots all running the Tillotson HC-112. Congratulations to Lorenzo Travizanuto on his well-deserved World Champion Title, as well as the Vice-Champion (and recently crowned European champion) Hannes Janker, and Lugio Coluccio for taking the other podium spots on the world stage. Tillotson, a recognized leader in the design and development of the most highly engineered carburetors in the world, now boasts three double World and European Championship titles in a row. 2018 has proven to be the strongest in the senior category as Tillotson dominated the number of race victories, championships and percentage of drivers winning every title from WSK, DKM, CIK Euros / Worlds. In addition to the top five drivers in the OK category at the CIK FIA Karting World Championships, 84 of the 102 entrants were driving with Tillotson carburetors. The HC-112A is an updated version of our popular HC-102A as used in the KF classes which provides improved throttle response and increased mid-range HP. The HC-112A is CNC machined from billet aluminum and features laser engraved “H” and “L” needles and setting guide to make precise setting easier. Look out for our new 2019 CIK homologation range of carburetors which will boast many new features to provide the next level of performance. 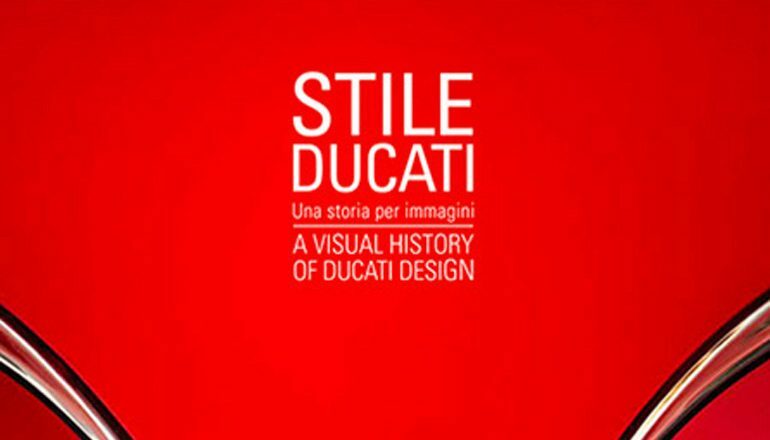 If you ever wanted a visual history of Ducati design then it has finally arrived – Stile Ducati. This is not only a history book covering the 90 years of Ducati design it is a faithful printed demonstration of beautiful machines and designs. I understand it is a collector’s edition, which explains the cost, but I highly recommend taking the opportunity of exploring the 336 pages which has stunning imagery and wonderful words. The design and text of the large-format book were developed in house, with detail shots and full photos of each model. A timeline at the end includes key moments in the company’s history, followed by a descriptive index of the images. “Stile Ducati” is available at official dealerships and the online shop at Ducati.com. Or you can order Stile Ducati. A visual history of Ducati design from Amazon right now. Telling the story of Ayrton Senna in pictures. Ercole Colombo demonstrates his passion for Formula 1 with this marvelous book as he has combines his skill as a reporter with the eye of a great photographer. 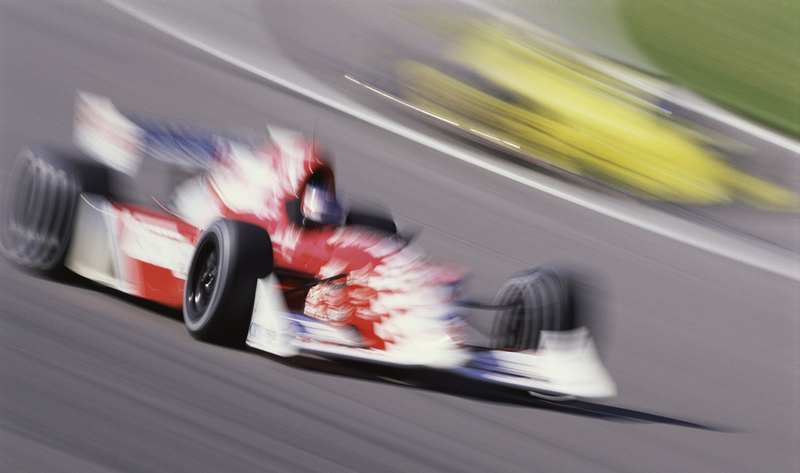 It chronicles Senna’s intense career, his constant competitive nature while capturing the vulnerable moments of the man. His tragic death shocked the world of motor racing. This book is paying homage to a truly heroic figure, whose grace and appeal remain intact. In other words, we are talking about a journey into the collective memory, within which each racing fan cherishes particular moments, personal memories, emotions and grief related to a figure who in some way continues to appear and to race in a highly colourful firmament. The career and private life of the iconic Brazilian race car driver, narrated in one hundred photographs. 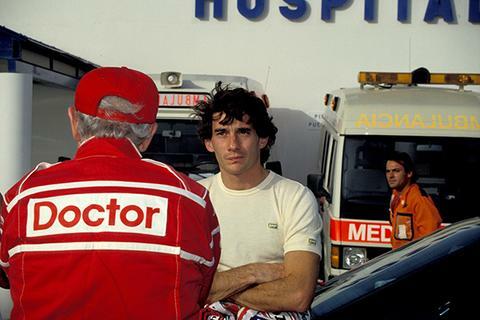 The story of Ayrton Senna is not easy to tell. It involves retracing an intense competitive career, looking into the vulnerable soul of a complex man, and reliving his tragic death, which occurred during the bloodiest weekend in the history of modern motor racing. It also means paying homage to a truly heroic figure, whose grace and appeal remain intact. Ayrton Senna. 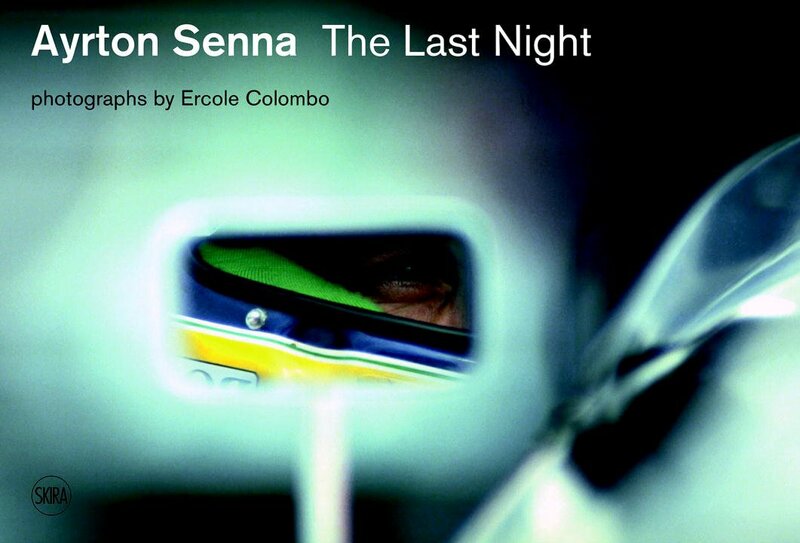 The Last Night recounts this captivating story through the writings of Giorgio Terruzzi and the photography of Ercole Colombo, who combines a passion for Formula One and an innate journalistic talent with the aesthetic touch of a great photographer. The book covers the most important moments in Senna’s life: his brilliant wins, his defeats, the loss of his friends, his great rivalries with other drivers, his emotions and family relationships. It concludes with the thoughts, contradictions, and feelings of Senna’s last night, and the terrible accident that cost him his life. The narrative represents a journey into the collective memory, in which which each racing fan cherishes particular moments, personal memories, emotions, and grief related to a figure who somehow continues to appear and to race in a brightly colored firmament. 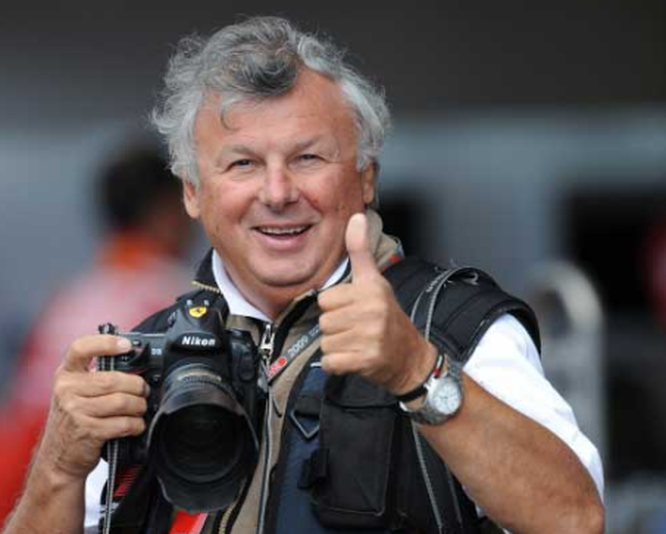 Author Giorgio Terruzzi is a writer, journalist and great expert on Formula One racing. 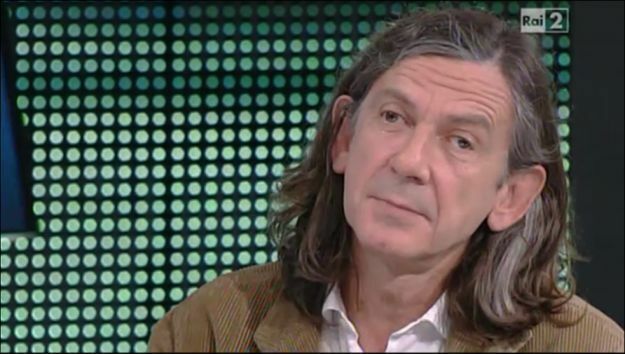 He has worked with many newspapers including Corriere della Sera. In 2015, his book Suite 200: L’ultima notte di Ayrton Senna (2014) won the Bancarella Sport prize. Some countries are providing a more hospitable environment than others when it comes to promoting women in motorsports. As recently as the 1960s, the total number of female racing drivers across the entire globe was in the single figures. This despite the inspirational Italian, Maria Teresa De Filippis leading the charge as the first woman to compete in a Formula 1 Grand Prix in 1958. 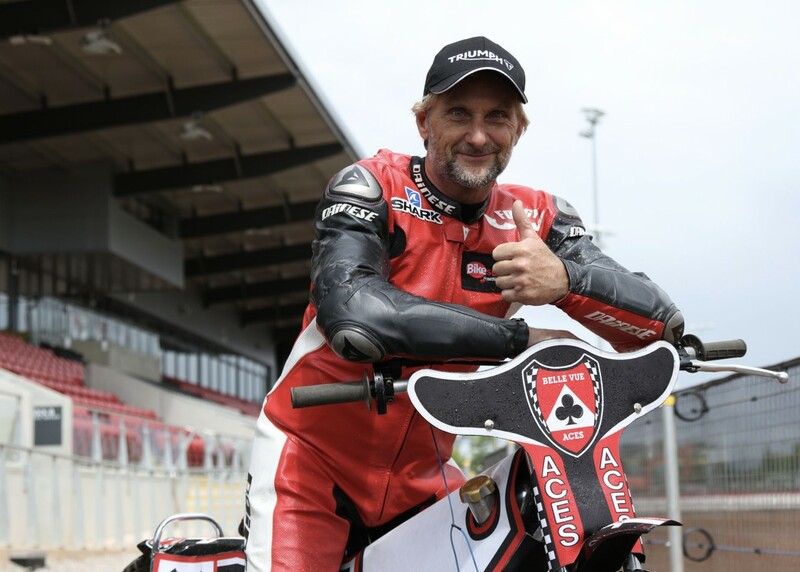 The undisputed king of World Superbike racing, Carl Fogarty, took to the track at the National Speedway Stadium on Wednesday to test the latest Flat Track innovation by Triumph Motorcycles. Foggy – as he’s known in the world of motorsports – is set to compete in the annual Dirt Quake Festival at King’s Lynn’s Adrian Flux Arena, which celebrates all forms of motorcycle dirt racing. 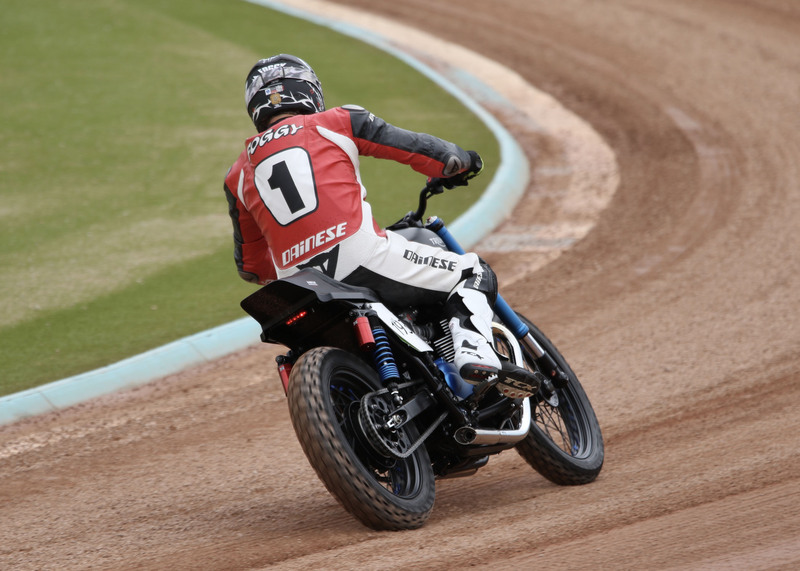 He said: “Flat Track racing has been growing in popularity recently, especially since Marc Marquez has come on the scene with his style of riding. It’s fun to do but people need places to go to do it. 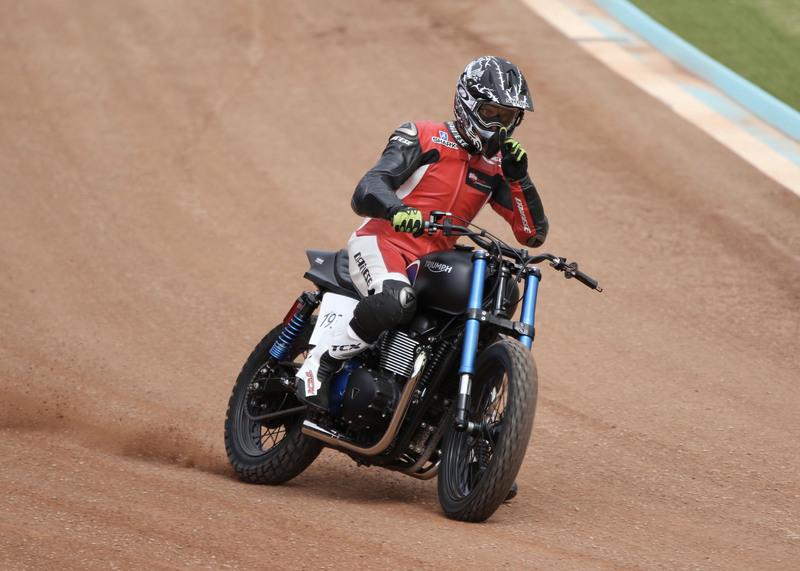 “I’m with Triumph Motorcycles these days which is obviously such an iconic brand and I’m down at the Dirt Quake event in King’s Lynn this weekend where I’ll be riding this new bike for the first time. “It’s sponsored by Bikesure Insurance whom I’m an ambassador for, and I thought since I’d be down there anyway I’d have a spin so I asked the guys down at Triumph if they had anything I could ride. “They came back and said they had this bespoke motorcycle they’d built for Barbour a year or two ago. It’s an awesome looking thing though going around a speedway track it was quite an animal. “To be honest it went much better than I thought but it is a handful. It’s a big 900cc Scrambler engine, like a Bonneville sort of bike which isn’t built to go around tracks like this but it was fun. Though a rare sight amongst the methanol faithful, Fogarty is no stranger to the stars of the shale and has taken in the occasional meeting in Manchester over the course of his illustrious career. To complete his visit on Wednesday, the multiple world champion couldn’t resist but round off his testing for Triumph with a demonstration of his skill on a speedway bike; despite the wet conditions! He continued: “This is an amazing facility you’ve got here. To be honest I didn’t expect this at all. I’ve been next door to the old place before thinking that was a speedway track but this is just incredible. “I came here to Belle Vue when I was a kid and through the years I’ve kept tabs on it. When you’re involved with motorsports you tend to keep an eye on things and how the British lads are doing. “So yeah, I’ve always been a fan of the sport. I recently had my first go on a speedway bike two months ago. Well, I say that but it was really a speedway chassis with a 125cc Honda engine in it! “I went one better on Wednesday and had a go on a 150cc which was a lot of fun, but you need a bit more power than that to really get things sliding; though the 500cc can definitely wait!” he laughs. In celebration of the British Grand Prix taking place at the Home of British Motorsport, just three weeks before the iconic venue welcomes 100,000 visitors to the world’s biggest classic motor racing festival, the Silverstone Classic team has put together its Top 10 Classic Moments from Silverstone. Italian racers Luigi Villoresi and Alberto Ascari finished in 1st and 2nd position respectively, each in a Maserati 4CLT with Brit, Bob Gerard third in an ERA. Little more than a converted airfield at the time, more than 120,000 people descended on Silverstone to spectate. The venue is now firmly established as the Home of British Motorsport and the Silverstone Classic is the place to watch historic motorsport. The only occasion a reigning monarch has visited Silverstone was for the 1950 British Grand Prix, when King George VI and Queen Elizabeth met drivers including a young Sir Stirling Moss, who finished in 2nd position in the 500cc support race. A mere 64 years later, Stirling Moss led a parade in a Maserati 250F at the Silverstone Classic to celebrate 50 Years of Grand Prix at Silverstone. Ferrari recorded the first of what is now more than 220 F1 victories, with José Froilán González beating Juan Manuel Fangio in, what was at the time, the all-conquering Alfa Romeo. Fans of Ferraris and other classics from this period can see them race at the Silverstone Classic in the Maserati Trophy for HGPCA Pre’66 Grand PrixCars races. Starting second on the grid, Graham Hill stalled his BRM in front of a home crowd at the start of the 1960 British Grand Prix, but then went from last to first, recording the fastest lap of the race, only to spin off five laps from the finish, handing victory to Jack Brabham. The race also proved to be a Formula 1 swansong for Aston Martin. The Maserati Trophy for HGPCA Pre’66 Grand Prix Cars races at Silverstone Classic regularly see grids of 50+ cars, many ex-Hill and Brabham. 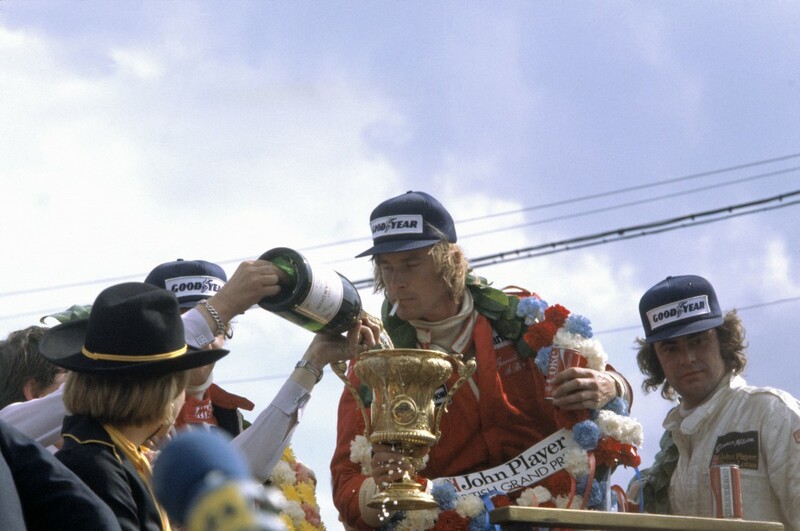 In the year succeeding his historic World Championship win, James Hunt celebrated his only Silverstone victory in 1977 with his McLaren M26, finishing 18 seconds ahead of his great rival Niki Lauda. 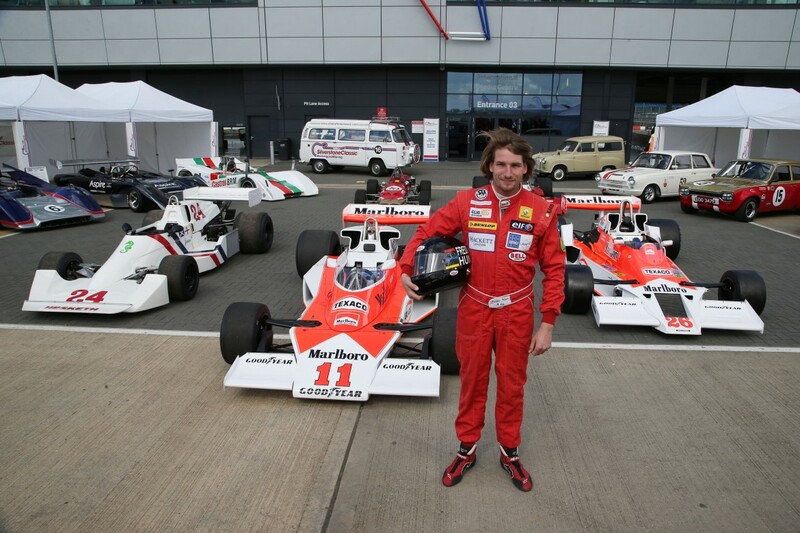 The Hunt family are celebrating the 40th anniversary of James Hunt’s World Championship victory at the 2016 Silverstone Classic and fans can also see James’ M26 at the event. The Home of British Motorsport has long been at the forefront of innovation in the sport and, in 1977, Jean-Pierre Jabouille contested the British Grand Prix in an Equipe Renault Elf RS01, the first car in Formula One to be fitted with a turbo engine. The 1.5 litre V6, did not last the full race but its inclusion in the race marked a new era in the sport and fans can experience eight decades of development in Grand Prix, Sports, GT and Touring Cars at the Silverstone Classic. In 1990 the BRDC director and former TT winner on both two and four wheels, Stuart Graham, successfully launched a historic motor festival at Silverstone. Mervyn Garton was brought in to mastermind the off-track activities and the International Historic Festival was born. The festival is now known as the Silverstone Classic and in 2015 celebrated the 25th anniversary at Silverstone. Two special awards, named after the original Scarf & Goggles pub and the event founders, were introduced to recognise the most acclaimed racing car and best infield display of the weekend. The Scarf & Goggles pub was also brought back last year and is now a firm fixture on the JET Village Green during the Classic. The iconic photograph of Nigel Mansell giving Ayrton Senna a lift back to the pits came in the 1991 British Grand Prix after the Brazilian stopped out on the circuit on the last lap with a fuel problem. Mansell had won the race in his Williams FW14-Renault. Mansell’s FW14B iteration of this car was on display at the 2015 Silverstone Classic. Don’t miss the Legends of Modern Formula One at this year’s festival on display in the National Paddock and running on track for high speed demonstrations. When 767 Jaguar E-Types from across Europe and North America participated in a track parade at the 2011 Silverstone Classic a new Guinness World Record was set for the largest parade of Jaguar cars. There may not quite be 767 at the 2016 event, but you can still be sure to catch a glimpse of the car described by Enzo Ferrari as ‘the most beautiful car ever made’. The lap record for the Silverstone Classic in the current configuration is 1:46.428, held by Nic Minassian in a Jaguar XJR14 in 2013. The circuit used for the Silverstone Classic is the Silverstone Historic GP Circuit, with Vale corner slightly altered from the standard GP circuit. This year more grandstands have been opened with even more big screens available for an all-round improved spectator experience. It was a double delight for Belle Vue’s Dan Bewley on Friday after he bagged not only the first track record at the National Speedway Stadium but also his first full 18-point maximum of the season. The 16-year old set a time of 63.0 seconds in Heat 4 of the Cool Running Colts home meeting against the Mildenhall Fen Tigers, in which they triumphed 51-39 over the depleted visitors. Bewley, who only began racing speedway at the close of the 2015 campaign, stunned the crowd with a masterful display of track craft and raw talent that is getting him noticed nationwide. Team manager Graham Goodwin said: “We’re thrilled for him. We knew he was riding well but to score an 18-point max in his first meeting at the new stadium is an unbelievable achievement. “To be honest we can’t fault anyone tonight. Rob [Shuttleworth] stepped up as captain while Matt [Williamson] was at Workington and his score doesn’t reflect the entertainment he served up. “He was leading one race when his engine went, then he was battling for the lead when he had a fall. David Holt is another great example, riding the boards in Heat 8 just to get into second place! “You could see as the meeting went on the boys were really getting to grips with the racing lines and it was very encouraging to see them looking so confident and developing their technique. “I think it was Jon Armstrong who commented that in some ways it was impossible to be defensive because there were so many lines that there was always someone able to launch an offensive. “Everyone was putting in the effort and did their job tonight and we’re really pleased with that. In hindsight, we’re actually a bit annoyed that we took Andy Mellish out of one of his rides really. “We were a bit worried though at that point there was a possibility of the Tigers coming back to within six and sneaking a consolation point and I think we may have played it a little too safe. “But he understood what we were trying to do and when you’ve got someone like Dan going like he was how could we deny him that extra ride? The short answer is we just didn’t want to risk it. 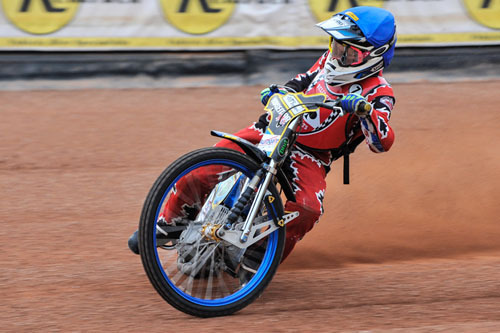 There is little time for the Cool Running Colts to catch their breath after that sensational season opener as their quest for National League glory continues with a visit to Rye House on Sunday. Organisers of the Silverstone Classic, the world’s biggest classic motor racing festival, have today announced the 2016 event, on 29-31 July, will pay a special tribute to the celebrated British F1 legend James Hunt, commemorating the 40th anniversary of his 1976 FIA World Championship victory. Now in its 26th year, the Silverstone Classic, staged at Britain’s premier race circuit, will pay homage to the headline-grabbing driver, who sadly died in 1993 aged just 45 years old, with a special display of his cars, curated by his two sons, Freddie and Tom. In addition to a collection of Hunt’s most notable road and racing cars, fans will have a chance to gaze upon rarely seen memorabilia and trophies from his 1976 title-winning season, which Hunt won by a single point – a story retold in the 2013 biopic Rush featuring actor Chris Hemsworth. At today’s preview, it was also announced that Prostate Cancer UK has been appointed as the Official Charity of the Silverstone Classic for the next three years. This is the first time the festival has aligned itself with a charity and the aim of this new partnership is to raise both awareness of the disease and funds in order to help the charity provide vital support and information to men and their families, and find answers by funding research into causes and treatments. Full information on all tickets (which must be purchased in advance) – as well as hospitality packages and weekend festival camping – can be found on the event website at: www.silverstoneclassic.com.